I just love the new fun paper rosettes in all the beautiful colors that are available at Consumer Crafts now! 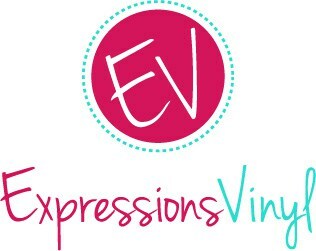 They are so much fun to work with and I was so inspired this month to have fun creating with them! 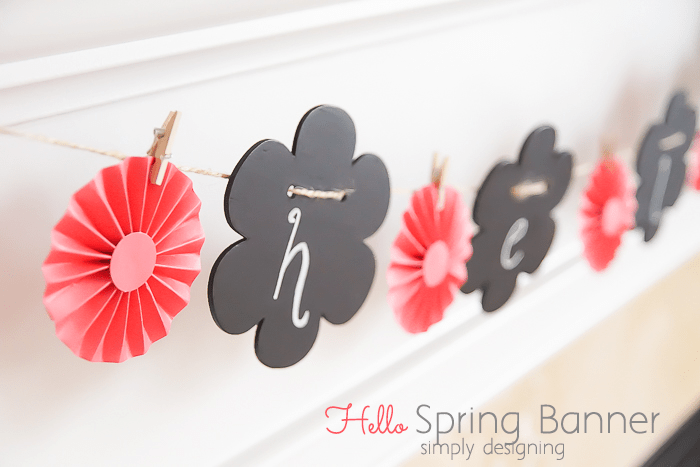 And so today I am really excited to share this really cute Hello Spring garland with you! It is beautiful, adds a punch of color to my mantel, but only takes 3 supplies to create! Seriously! See, isn’t this spring garland just adorable!? 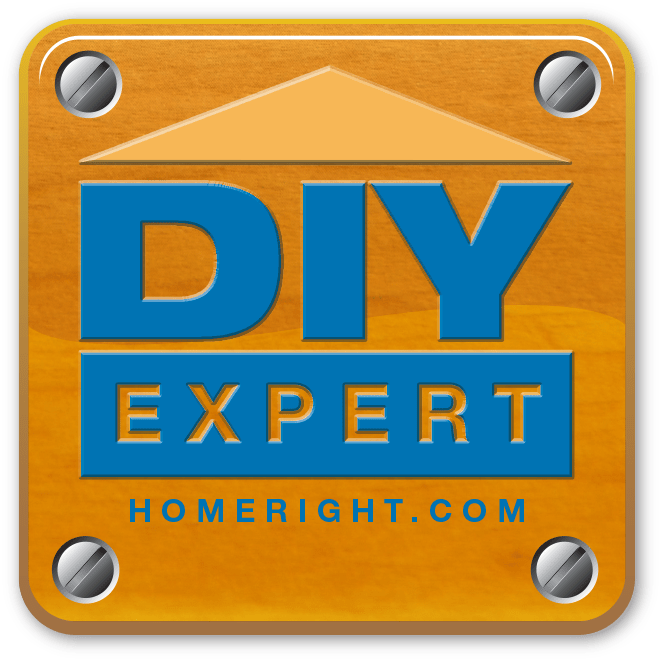 You won’t believe how simple it is!! First I removed my chalk flowers and rosettes from their packaging. 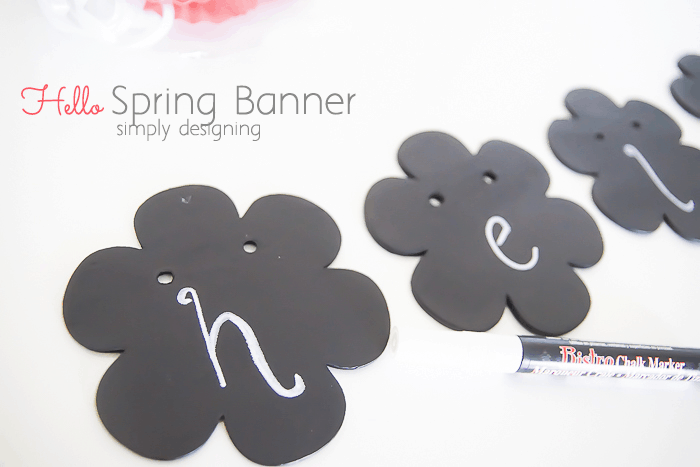 And, as neatly as I could, I wrote the word “hello” on my flower chalk banner! I don’t have the neatest handwritting but I did my best! I found that the word showed up best on this banner if I traced over my letters a couple of times to get a nice, thick layer of chalk on it. If you don’t have the neatest handwritting (I certianly don’t!) enlist the help of a friend, child or husband to write this for you! It doesn’t need to be perfect but I really do love cute writting! Then I used the jute string that came with the chalkboard banner and I strung the chalkboard flowers on it. In between each chalkboard flower, and on each end, I used the small clothes pins that came with the rosettes to attach the rosettes to the jute string. Yes it really is that simple! Can you believe it!? 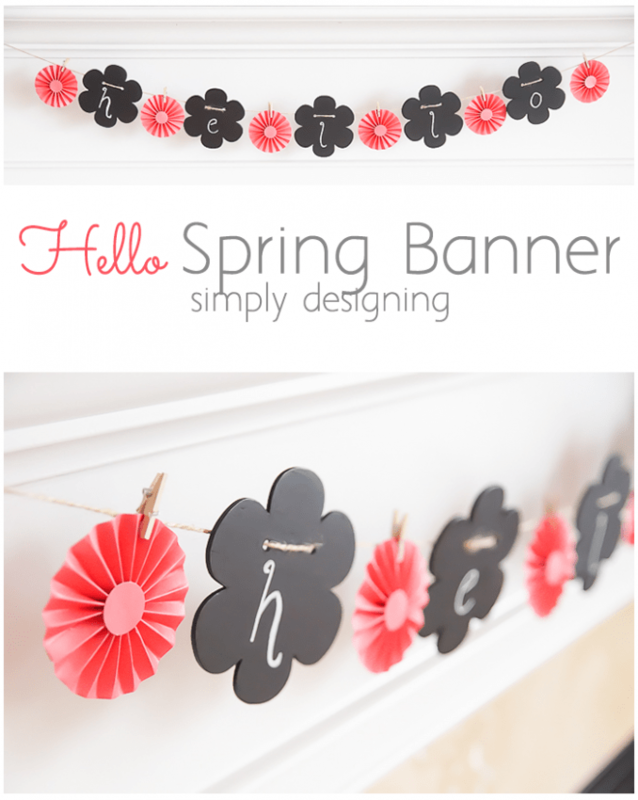 This is such an adorable banner and perfect for spring! But it only took a few minutes and 3 supplies to make! 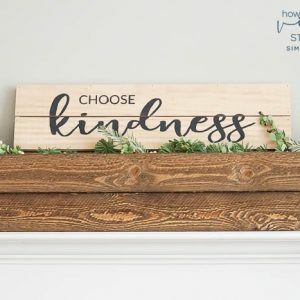 I absolutly love simple craft projects like this and they are really projects that anyone can do! And I love the fun chalkboard style mixed with these modern and pretty rosettes! It is such a fun combination! I love having this beautiful and bright spring garland on my mantel! It adds such a beautiful touch to my home without being overly distracting or too ornate. 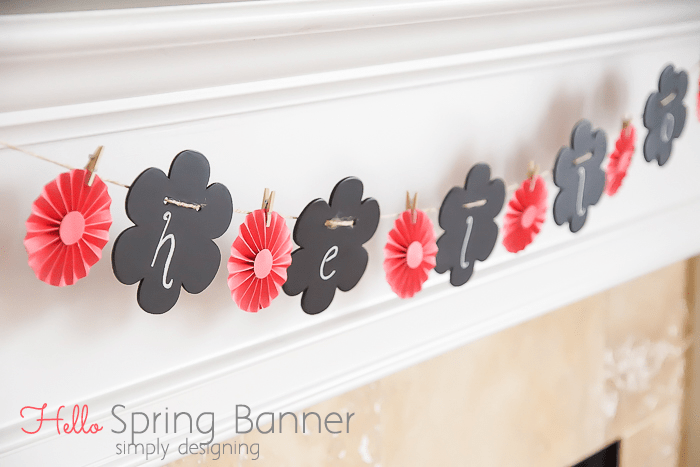 Do you have a spring garland on your mantel? Very cute and spring-like! Love the use of the mini clothespins. Visiting from Wine’d Down Wednesday. This is so so cute! Thanks for sharing at The Wednesday Round Up and we hope to see you back next week! 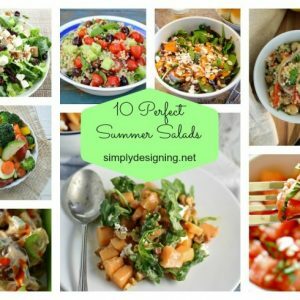 Love how easy this is to make. I especailly like the chalkboard flowers, perfect for spring. Thanks for sharing on Merry Monday. I love those little chalky things. I was able to purchase some last year when visiting in the States and I use them all the time. The pretty rosettes also add a lovely spring touch. 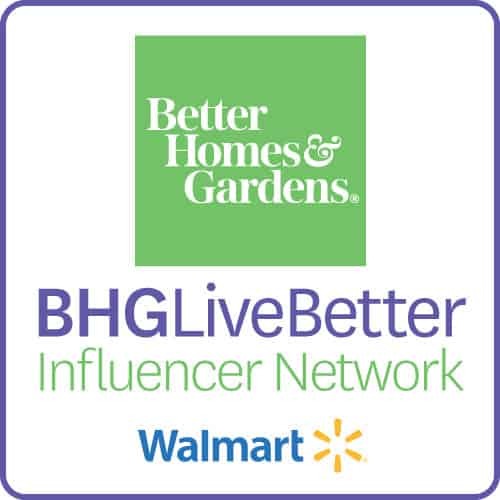 Ashley, I am hosting a new link party Sweet Inspiration and would love for you to join us. It runs from Friday thru Tuesday.